As with every movie in the Marvel Cinematic Universe, Thor: Ragnarok features a cameo appearance from Marvel Comics founder, Stan Lee. This time around, however, Lee's appearance is as functional as it is novel. 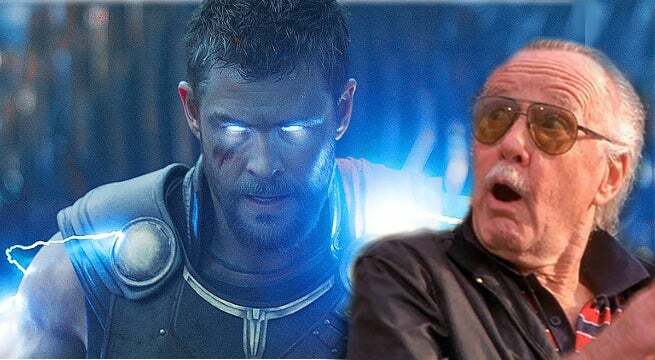 Read on for the spoiler-filled details of Stan Lee's cameo in Thor: Ragnarok! In Thor: Ragnarok, Thor is stranded on the planet Sakaar, after Hela knocks him and Loki out of the Bifrost passageway, on their return to Asgard. Thor is quickly captured by fellow Asgardian in exile Valkyrie, who takes him to the planet's ruler, The Grandmaster, to be a gladiator in The Grandmaster's games. Before Thor can enter the gladiatorial ring, he must first be "processed" by the Grandmaster's flunkies; part of that procedure is getting a haircut from a very unique barber. As Thor is strapped to a chair for his haircut, the barber is revealed to be Stan Lee - a version of Lee who has cybernetic arms, with spinning blades as hands. At first, Thor is all bluster and braggadocio - until he sees those spinning blades. After that, Odinson is all blubbering and begging - but it doesn't stop Lee from going to town on his hair, resulting in the rough buzzcut that Thor sports for the rest of the movie. Thor: Ragnarok is in theaters on November 3rd. Other upcoming MCU movies include Black Panther on February 16, 2018, 2017, Avengers: Infinity War on May 4, 2018, Ant-Man and the Wasp on July 6, 2018, Captain Marvel on March 8, 2019, the fourth Avengers movie on May 3, 2019, the sequel to Spider-Man: Homecoming on July 5, 2019, and Guardians of the Galaxy Vol. 3 in 2020.